I'm married to my best friend. This year will be our 13th Anniversary. I love cats. 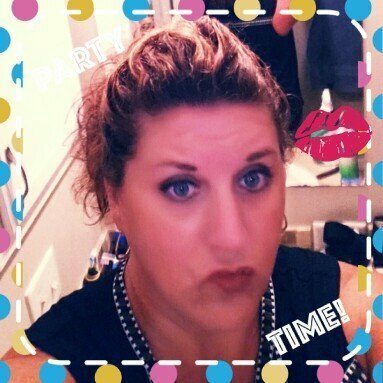 I love make up and all beauty products &Newest trends in make-up and style. I have a daughter, who is in beauty school for estetic's to be an estetician. I also have a son who is obsessed with sports, eap baseball and wonderful 2 step-daughters. I love trying new things and shopping online. I worked in the school system for special needs kids for several years which i loved but I decided to stay home and focus on my family and health. I got the Perricone MD no Makeup foundation Serum hade “ivory” in my voxbox. It looked like it had a lot of pigment and the bottle looked like a high-end product. I loved the coverage, it can be buildable and could be a full coverage foundation, which I was pleasantly surprised because when I seen the bottle which said “Perricone MD no Makeup foundation Serum” and when I see the word “serum” I would NOT think “full coverage”! It felt nice going on, although a lot thicker than I would think in a “serum”. The shade I got was Ivory and it is really a pretty true ivory. I wish I would have gotten a shade darker bc it’s almost too light for my skin (and summer will be here soon). I used my foundation sponge and it blended well. I can’t wait to see if it does help with any problems I have with my skin and dark spots. 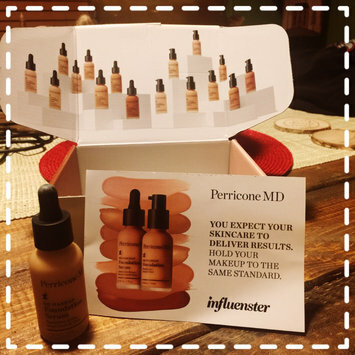 Thank you Influenster and Perricone MD. I LOVE THE PERRICONE MD PRODUCTS!! I love ice cream and I'm really not too picky. My two favourites are chocolate and peanut butter so this is a WIN-WIN in my book!! Yum!!! My husband got me started on these and before i knew it the entire bag was gone! I did leave him the orange ones because he likes them and I don't not like them but they're not my fav. Love love love! I love this stuff. I got it in my monthly ipsy subscription and I didn't know if I would even use it but I decided to just give it a try. I put it in the corners of my eyes and the bridge on top of my lips and you can actually use it where ever you want. I love the packaging and the stick..the consistency of the product. Love it...and it's a keep!! I got a sample of this mascara and I have to say I really love it. It makes my lashes look longer and thicker without the buildup that some mascaras have. Also it's not hard to get off when your ready to take it off. I'm definitely going to be looking to buy some in the near future. My Grandmother actually ordered this kit on QVC and I decided to give it a try. I am actually pretty impressed. I used the color "capri" which is a dark blue/ gray & I did both my finger nails and toes! I am pretty impressed and saved a bunch on going to the salon and getting gel or,shelack. I have looked everywhere online for different colors because the colors really only came with 2 or 3 I would use and several I would never use. So the only drawback is finding more colors of the actual brand. I've use the wipes to remove my old shelack and to remove the tacky-ness after putting 3 or 4 coats of the Polish and using the UV light to set them. It's also not much space between the top and bottom of the actual UV light but it worked. It will take practice but overall I'm impressed. I love this stuff! My favorite is the triple citrus blend! I haven't smelled all of them but this one smells SOOOO DELICIOUS! ! It takes me back to a scent that reminds me of a time when I was young. It smells so good and my husband always says how great it smells too. I def recommend it to anyone to give it a try. It also is beryl moisturizing. I used every drop and now I've gotta buy more. I very rarely use every drop of a lotion before moving on to something else.